Tax Man or Stretch IRA? Leave them a legacy through a Stretch IRA. Or, leave it to the Tax Man. Request our free book, "Distribution Strategies for Retirement"
What Income is your portfolio producing ?$ 2,000 ? $ 3,000 ? 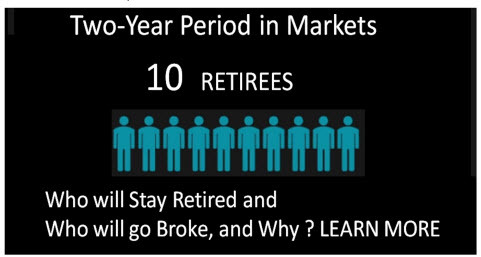 CHECK OUT OUR LATEST WEBSITE: www.Stay-Retired.com for timely Videos and articles to help you Stay Retired !